Let’s get off cell biology and back to something I really know. Atrial fibrillation, AF ablation and blood thinners. There was an important study published today in the Journal of the American College of Cardiology concerning the use of the new blood thinner, dabigatran (Pradaxa), around the time of AF ablation. A very concise overview, including a quote from a blogger, can be found on Cardiobrief. Basically, Dr Natale’s group reported that patients who underwent AF ablation while taking dabigatran did less well than a group managed in the usual way with warfarin. The most concerning finding was that dabigatran-treated patients had a higher risk of stroke after ablation. The increased popularity of non-warfarin blood thinners has injected yet another challenge to AF ablation: how best to prevent the most-feared complication of AF ablation, stroke. Before there were alternatives to warfarin, AF ablation-ists all had a plan for protecting the 50 or so scabs in the left atrium from forming clots and then stroke. This is the issue with ablation; to electrically wall off areas of the atria, we make burns. Burns must heal, and healing means scabs are exposed to blood. Most AF centers ablate AF without interrupting warfarin. (Notably, this protocol originated from Natale’s group.) Other centers favor bridging with IV heparin or subcutaneous low-molecular weight heparin. The point was: we all had a protocol that worked. Now, the new blood thinners have jostled the AF ablation world. AF patients get started on dabigatran, and most recently, rivaroxaban and soon, apixaban. These drugs are blood thinners; they have solid evidence to support their efficacy, safety and perhaps superiority to warfarin in AF. But…there are important issues pertaining to AF ablation. One is the issue of adequate blood thinning in the weeks before the procedure. With warfarin-treated patients, we can check a weekly INR test to confirm that the drug has indeed thinned the blood. The doctor doing the burns knows the status of the blood. With the new blood thinners, however, this confirmation isn’t possible. Only the patient knows. Some AF doctors aren’t comfortable with trusting that their patients have taken the pills exactly as directed. This uncertainty leads these doctors to recommend a trans-esophageal echo (TEE) before the ablation. I hate this idea because it means doing another procedure—one that entails sticking a thick probe down the throat and esophagus—before the ablation. One that wasn’t needed with the warfarin protocol. Another procedure-related issue with the new blood thinners stems from their lack of an antidote. If the heart is perforated during the procedure, bleeding in the chest could be worse. Moreover, how does one get catheters out of the leg veins while the blood is fully thinned on dabigatran? These concerns have been answered with warfarin. Good studies and years of experience have taught us that ablating with warfarin is both safe and effective. Finally, many experts posit that the increase in procedure-related strokes with dabigatran described in Dr Natale’s study occurred because of a short window after ablation where the blood was not thin. Maybe. But maybe it was just chance? Or maybe the patients missed some doses? What are the larger messages of this seemingly focused issue? Non-warfarin blood thinners are marketed as simpler and easier to use than warfarin. Maybe so in patients with AF that never need anything done to them. In the other 90%, the situation is different. These agents’ lack of an antidote, un-measurability of effect and dependency on patient compliance belie the notion that they are simple. In other words, the real world use of these drugs looks a little tricky. Secondly. Is it bad that I like the idea that experts don’t know what to recommend for peri-procedural blood thinners? 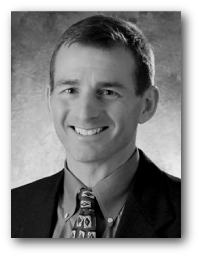 In an editorial accompanying Dr Natale’s study, Dr Bradley Knight proposed 7 possible regimens. If there are 7 possibilities, this means no expert consensus or mandates are likely to emerge in the near-term. We doctors must think and judge. Thank goodness for that. Love judgment. Finally, concerning my quote on Cardiobrief. The issue of protecting AF patients from stroke is our most pressing concern, whether it is around the time of ablation or not. I like simple. For now, in patients that I feel sure are taking dabigatran correctly, or in those at low risk of procedural stroke, I don’t feel that a 290 patient study with only 3 events in the dabigatran arm should close the book on non-warfarin blood thinners around the time of ablation. Thanks to my friend and ace heart news journalist, Larry Husten (@Cardiobrief) for the prominent mention. I am the guy who sent you pictures of tanks protecting bicycle paths in Lithuania. I was an early adopter of Pradaxa. June 2010 I had my 5th ablation. Had a bleed early in the procedure they could not stop. 5 quarts later spent several days in intensive care with some serious pain etc. No question in my mind problem was caused by Pradaxa and lack of antidote almost cost me my life. Luckily I was in a large, quality hospital with huge resources. I am back on coumadin. No need to tell you my opinion of the new anti-coagulants. Whoa. Sorry about that. Thanks for sharing. Dabigatran makes for more complicated timing of meds around the procedure. For instance, clearance of the drug depends on patient’s kidney function. That’s just one factor. We are still learning. Thanks for the tank vid. For my first ablation I was on Warfarin + LMW heparin and had a stroke a few days after the procedure. For my second, it was Warfarin again, but they kept me on LMW heparin for an extra couple of days. Everything went fine, and the extra two days have become part of their standard protocol. For my third ablation I was on Dabigitran, and had no problems. The one positive thing about having had a (mild, thank God) stroke is that I now take anticoagulation *very* seriously. I am in my early fifties, and I used to think that strokes were something that only old people got. Not any more. From the Northern part of Europe, I can add that TEE has been standard procedure prior to ablation, even when treated with Warfarin and within acceptable INR level (between 2 and 3) – the 4 last weeks before the ablation. Thank you for your blog! 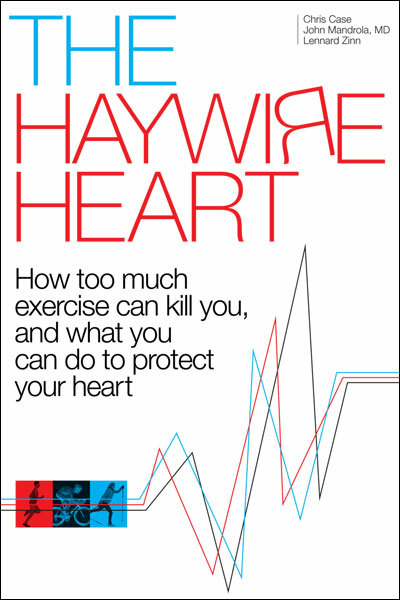 As a A-Fib sufferer and a full time athlete I have found many of your post highly informative. I am curious if there in any correlation between the effectiveness of Warfarin vs. Pradaxa. In hopes of being ablated I am currently taking 20 mg a day of Warfarin and have yet to hit the 2+ INR range, barely 1.5 currently. Switching to Pradaxa has been suggested. Since there is no way to test for Pradaxa, is there any gaurantee that 2 daily doses of Pradaxa will have a substantial effect on coagulation? Is there any risk that the Pradaxa would be ineffective and would unknowingly pose I higher stroke risk during an ablation? Good questions. Yes, in the RE-LY trial published in the NEJM (I’ve covered it on previous posts on the blog; you can find it with the ‘search’ feature in the right column), dabigatran was in fact superior to warfarin. Like I said in the post, the peri-procedural effectiveness of dabigatran is less clear. Given your difficulties with reaching adequate INRs, It doesn’t seem a stretch to surmise that Dabi- is better than sub-therapeutic warfarin.